We’ll take option B, please. Some airlines have really generous rules for spending points, even when you’re just trying to book a one way flight. Collecting miles with airline programs such as Alaska, ANA, AsiaMiles, Aeroplan, Japan Airlines, Singapore, Air France/KLM Flying Blue and United can unlock very generous rules which allow you to not just see Paris, but maybe Vienna and Barcelona too, without paying any additional miles. We’ll touch on some examples now, because we have a distinct feeling that’s exactly what you were hoping we’d do. Alaska allows one free stopover on every one way ticket. A round trip effectively gives you two free stopovers. So if you were planning to go from Los Angeles to Sydney via Melbourne, you could stop in Melbourne for an extended number of days for free, and pay no additional miles to visit Sydney. This would work for virtually any Alaska ticket. On the way back you could then build in a multi day stopover in another city en route. Of course – any stop less than 24 hours doesn’t even count, so you could enjoy a day in Hong Kong or Tokyo if flying on Alaska’s partners Cathay Pacific of Japan Airline. Get Alaska Miles: Flights on Alaska + airline partners, Alaska US credit card, SPG points and more. If you’re able to fly two or more different OneWorld airlines, you can use AsiaMiles really generous multi partner chart. This chart doesn’t really care where you’re going, only how far in actual miles. You pay based only on the total distance you’re going. On these tickets you can make a maximum of five stopovers, with very few rules surrounding them. If you wanted to tour Asia and Pacific at your leisure, you could fly from Japan to Shanghai with JAL, from Shanghai to Hong Kong with Cathay Pacific, from Hong Kong to Sydney with Qantas and then over to Melbourne, all on the same ticket for 80,000 points. Get Asia Miles: Flights on Cathay Pacific and OneWorld airlines, Amex Points, Citi Points, SPG Points, AsiaMiles U.S. credit card and more. United’s Excursionist Perk is really generous. It’s like a buy three one way flights, get one free kinda deal. The cool thing is that the “freebie” doesn’t have to be related to the other flights you take. When you book three one way flights that start and end in the same region- like Miami to Buenos Aires, then to Rio and then back to New York – you get a free one way flight in the same cabin class anywhere in the world. The catch is it must be within the same region. So in this example, I could use my freebie to book a one way flight from Perth to Sydney at any later date. It’s free. Full details here. 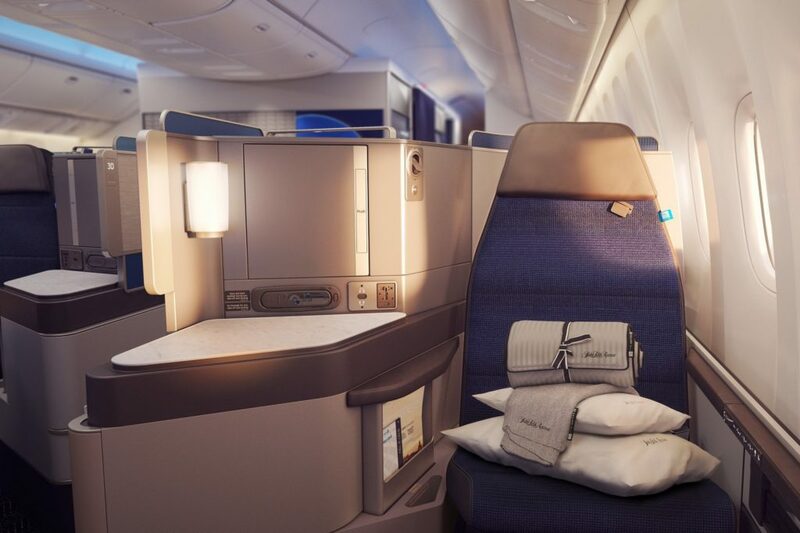 Get United Miles: United U.S. credit card, flying on United and Star Alliance airlines, Chase Points, SPG points and more. Much like AsiaMiles and Japan Airlines, ANA offers a separate “around the world” chart for using points. You can make an incredible seven free stops, with no time clock. Your trip just needs to be at least 10 days and cross both oceans, while staying in one direction. But within those rules, you can stop in seven of your favorite cities all around the world for just 125,000 points in business class. In addition to the seven free stopovers you can enjoy even more stops, so long as they’re under 24 hours! This is one of the best values in travel and can be unlocked using Amex Points. Get ANA Miles: ANA U.S. credit card, flying on ANA and Star Alliance airlines, US Ame Points, SPG points and more. Singapore allows you to pay $100 per stopover, in addition to the one you receive for free on any round trip ticket using points. if you book a flexible ticket using points, you’re entitled to even more. The same goes for using Singapore KrisFlyer miles on airline partners. These partner award tickets can now be booked online, though with stopovers it’s easier to book them over the phone. If for example you wanted to go from Singapore to New York via Frankfurt, you could build in a stopover in Frankfurt for no additional charge on the round trip. London could be included for $100. Get Singapore Miles: Amex, Citi or Chase Points, SPG Points, flights on Singapore or Star Alliance airlines, Singapore credit card in Singapore and more. The best way to find and book stopover flight using points is by searching segment by segment. Ignore the prices you’ll get for each segment, all you’re looking for is availability on your desired dates. If you wanted to fly from New York to Paris, stop in Paris for 5 days and then go to Vienna, you’d run a search for the New York to Paris flight. Find a date that works and then write down the flight number. Next, search separately for flights from Paris to Vienna. Again, write down the flight number and date. Then call the airline with which you’re trying to use points and let them know you’d like to take advantage of their stopover policy and feed them the flight numbers and dates. Always be polite and be prepared for to wait on hold! Have you taken advantage of friendly stopover policies? Previous ArticleHow Much “Extra” Is Premium Economy Worth? Note that with Alaska Mileage Plan you can’t combine partners, aside from AS plus one partner. And stopovers have to be at a partner carrier’s hub. Has anyone booked a one way saver award on Singapore Airlines with 2 $100 stopovers. I am waiting for my Citi miles to post in my KrisFlyer account and looking to book DXB- SIN-NRT OR ICN-LAX and would like stopover at SIN and ICN/NRT. I have researched all over and get conflicting info.